Last night it was revealed Apple is struggling to get wireless charging working on the iPhone 8. 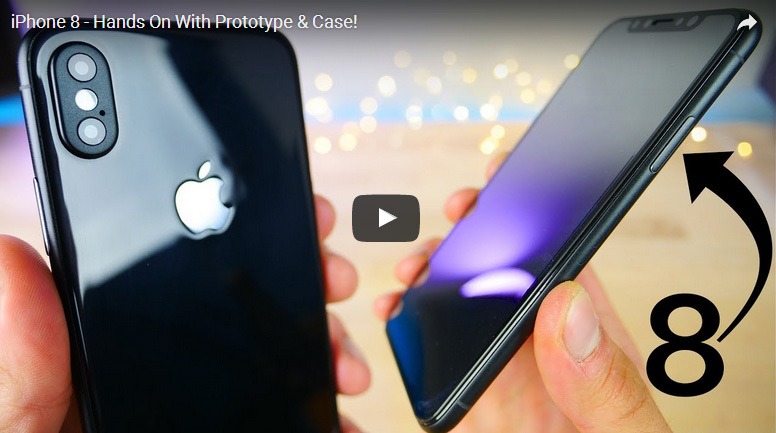 A tentpole feature, it will bring the iPhone range in line with rivals and is the number one reason Apple has switched the entire chassis from aluminium to more fragile glass. Without wireless charging the move would look ridiculous. In fact these problems are reported to be so severe that several of the functions will not be available when the phone launches, forcing Apple to enable them later via a software update (John Gruber seconds this). A similar route was taken with Portrait Mode on the iPhone 7 Plus, but these faults would be a far bigger deal. Fast Company says software integration is the key issue behind both the wireless charging and 3D sensor problems. Given the latter is expected to be a fallback if Touch ID cannot be not integrated into the display, this would leave Apple between a rock and a hard place. The good news is Fast Company says its source does still expect Touch ID to make it into the iPhone 8. In my opinion a simple solution would be to fit it into the mysteriously enlarged power button as Sony has been doing for years. Apple also has a patent for that. “By all accounts, it’s late in the game for Apple to be wrestling with problems as big as those described above,” concludes Fast Company and that’s certainly true. With mass manufacturing usually starting three months prior to release (and a September unveiling locked in stone) solutions are needed, and quickly.